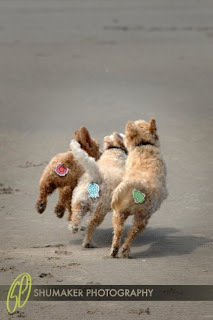 Ever wished you had a hang tag to cover your pet's..."un-manicured backside" ? Have no fear. Rear Gear is here. The seller continues: "No more Mr. Brown Eye." I'm going to spend the next little while trying to to forget about Mr. Brown Eye. How 'bout you?